HAVE YOU NOTIFIED SAMRO OF YOUR INTERNATIONAL GIG? Welcome to Freedom Month and of course your latest edition of the Beat Bulletin. To kick things off, we would like to thank all the people who braved the erratic weather in Nelspruit last month to attend the 3rd series of the CEO Roundtable Discussion. We are grateful for the invaluable support of the over 200 guests who took time off work to attend the event. With limited opportunities and avenues for consistent engagement amongst those who assist in shaping the local music biz, this initiative is a great platform where various stakeholders meet to iron out current challenges facing the industry. Stay tuned for dates of our next roundtable. One of the issues we stressed during the roundtable is the need for all music creators who perform abroad to notify us of their upcoming gigs. SAMRO is part of the International Confederation of Societies of Authors and Composers (CISAC), and we are able to represent your interests on a global scale and ensure that you receive the performance royalties due to you from anywhere in the world. 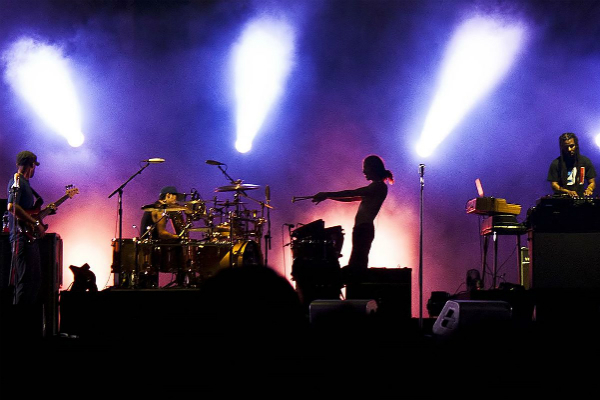 In this issue, we unpack why it is crucial for members, managers, publishers and booking agents to notify us of local and international live performances. While we’re on the subject of performing abroad, we profile SAMRO member and Indian music veteran Shashika Mooruth, who lives in Mumbai. The talent continues to put out great music decades after she was first discovered in Durban with her current release getting rave reviews in the US. We also talk to Theo Kgosinkwe of the award-winning duo Mafikizolo, who shares with us his views on why South African artists cannot as yet afford to completely forego radio airplay in favour of the internet. Finally, the SAMRO Foundation is calling for eligible keyboard players who consider themselves masters of the ivories to take on their peers and flex their fingers in the 2017 SAMRO Overseas Scholarships Competition for Keyboard Players. 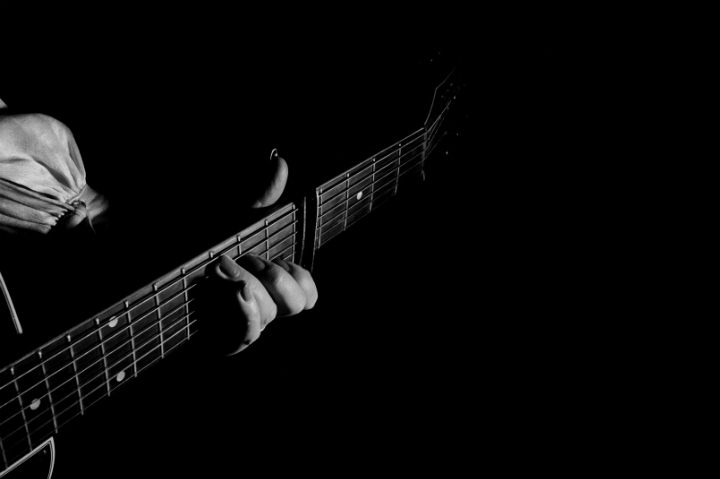 The competition has spawned many a successful musician, including Bokani Dyer & Jan Hugo. We encourage all keyboard players to take this opportunity and run with it. Until then, let the music play. The SAMRO Music Archive in Johannesburg is one of the largest resources of Southern African music in the world. It holds a comprehensive collection of Southern Africa’s musical heritage which is significant to music educators, learners, researchers, authors, academics, musicians, as well as music users. Since 1962, SAMRO collected music manuscripts of composers as part of the music copyright registration. 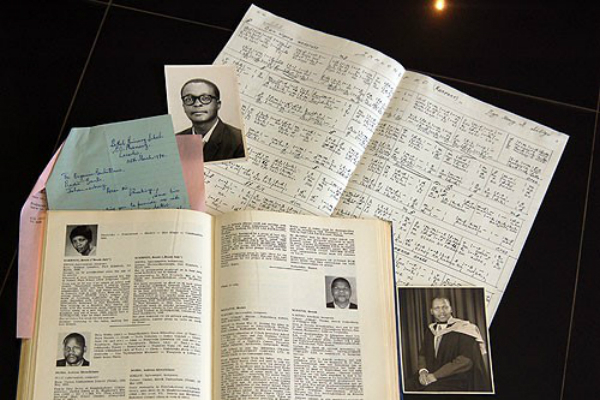 In 1975 SAMRO started to grow the archive with the aim to collect, preserve and promote Southern Africa’s diverse musical heritage and to continuously grow the unique collection of music scores. To date, there are over 64 500 music scores across different genres. In addition, there is a large collection of publications of music scores and research journals as well as photographs. The Music Archive endeavours to preserve and conserve the musical heritage of Southern Africa by updating records and storing entrusted material in an appropriate manner - adhering to international archival standards. The archive is accessible to end-users nationally and internationally. The SAMRO Foundation are the custodians of the largest collection of Southern African music scores and aspire to become the most comprehensive archive for African music on the continent. Wondering how to gain access to the archive? Music users, composers and music lovers are able to access the SAMRO Archive. Currently, accessibility may be granted via email by contacting the SAMRO Foundation or by setting an appointment to visit the SAMRO Archive. A web portal for digital access of the archive is currently under development. Composers and authors are encouraged to score music, archive and preserve their own work to ensure their legacy is conserved for future generations to enjoy. If you would like to access and delve into the heritage of South African music, visit www.samrofoundation.org.za or contact 011 712 8414 to find out more. One of the highlights of the music calendar in South Africa is the SAMRO Overseas Music Competition which continues to offer amazing opportunities to local musicians. 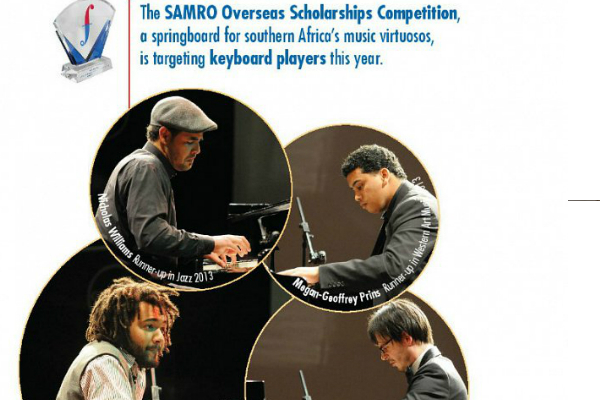 The SAMRO Foundation is calling for eligible keyboard players who consider themselves masters of the ivories to take on their peers and flex their fingers in the 2017 SAMRO Overseas Scholarships Competition for Keyboard Players. One of the highlights of the music calendar, this year’s SAMRO Overseas Scholarships Competition is for Pianists, Organists, Harpsichordists and other keyboard players. Four years ago pianists Bokani Dyer & Jan Hugo captured the spotlight and walked away with scholarships to help enhance their creative careers. They proved their technical expertise and interpretive creativity amongst many peers from around the country. To be eligible to compete in this competition, candidates must be a music student or professional instrumentalist between the ages of 20 and 32, and a citizen of South Africa, Botswana, Lesotho or Swaziland. The competition takes place over three rounds: a preliminary round (in which a panel of adjudicators select the top candidates from the applications received), an semi-final round (in which the shortlisted Western Art and jazz music candidates compete) and a final round, which will take the form of a public concert at UNISA’s ZK Matthew’s hall on 26 August 2017, featuring performances by the top two candidates in each category. To enter, aspiring candidates must download the regulations and the application form from the SAMRO Foundation website (www.samrofoundation.org.za). For more information, contact samrofoundation@samro.org.za or 011 712 8417. They say if you’re lucky enough to attain success, make sure to send the elevator back down for the next crop of undiscovered talent. Rapper Riky Rick’s version of that was by way of a very fiery, and now infamous speech at a recent awards ceremony – rallying undiscovered talents to embrace the internet if radio and television don’t playlist their music. But can unsigned or undiscovered musicians truly make it now without the powerful machinery offered by successful independent and major labels? And has digitalisation really changed how people consume music? Riky Rick is no doubt using himself as an example after releasing his successful debut album, “Family Values” as an indie artist. Making an acceptance speech after winning Best Hit Single for his song, ‘Sidlukotini’, this is what the hip-hop talent said, “If you’re a kid, and you’re watching this right now, forget radio. If they don’t let you play on radio, you better go to the internet and make yourself pop on the internet”. There are plenty of artists locally and abroad who would agree with him… Cassper Nyovest, Justin Beiber, Lily Allen, The Weeknd, Adele and Nasty C were all either discovered via the internet or used it to garner an impressive fan base. And there are numbers to back it up too: according to audit firm PWC, music streaming is taking an increasingly rising share of overall music revenue in South Africa. In its Entertainment and Media Outlook: 2016-2020, digital music streaming revenue is forecast to rise from the R74 million of 2015 to R437 million by 2020. Streaming services including Apple Music, Google Play Music, Deezer and Simfy Africa have all launched to varying success over the past four years. Add to that the potential of reaching an estimated 9-million South African YouTube users, and it all suggests that the internet is ripe for the picking. American pop star Taylor Swift is not a fan of the model however. She refused to allow streaming sites to offer her music because she strongly believes that such a service “devalues” the artist’s work. Theo Kgosinkwe of afro-pop super duo Mafikizolo appreciates how digital music services have elevated their music to a wider market. But he also has his reservations about young artists putting all their eggs in the “digital-only” basket. Kgosinkwe believes that labels, big or small are still valuable because of their long-established relationships with radio stations and retailers – both of which are still the go-to platform for music listeners and consumers in the country. Labels can also launch big marketing campaigns, thanks to budgets which independent artists cannot compete with. Indeed, music business is an ever-changing industry which requires an artist to display the balance of a tightrope walker. While digital may be showing positive growth around the globe, it is wise to not only channel all your energy to it as airplay and physical copy are still much alive in South Africa. The restrictive apartheid era deterred and broke many artists in South Africa. But one saying that will always ring true is that, only the strongest survive – and Shashika Mooruth is testament to that. Her career started at the age of 7 in 1971 and with no infrastructure, and access to professional training for Indian musicians, she imbibed singing skills by listening to various international artists on the radio. By the age of 14, she had already performed to some of the largest audiences in South Africa, helping her raise funds for old age homes, orphanages, charitable trusts, missionaries, spiritual organisations and various fundraising initiatives. Her meeting at the age of 12 with legendary singer Kishore Kumar from India, who was touring South Africa in concert was a turning point in her life. He loved her voice and hinted that she was underappreciated in the country and would thrive in India as an artist. Shashika continued to perform in South Africa but enjoyed minimal growth and eventually left for India in 1987. While she enrolled for vocal and sitar training under the tutelage of Pandit Sudhindra Bhaumik, she also had an opportunity to perform in Mumbai. It was at one such concert in Mumbai that the A&R manager of Venus Records & Tapes heard her sing and signed her for a three year contract with the record label. Shashika describes her style as “conscious” music. Conscious music is music that elevates the spirit, music that gives positive energy or invokes a positive shift in consciousness. It’s about spreading love, peace and unity. 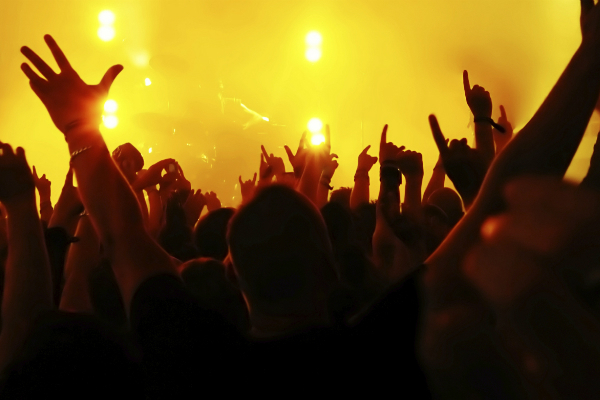 It does not matter the genre, it simply creates an ambience that immediately touches the soul. Her instrument is her voice and her performances ranges from classical to pop, world to new age, folk to Bollywood. In fact, she allows her voice to roam as a free spirit singing from her soul. In any genre she sings, it is her voice that uplifts and stirs emotions. The desire to write her own music rather than render only covers led her to register her own music production and record label, Urja Music. She has single-handedly produced, written music for some albums, rendered her vocals and marketed 24 albums under her label that is popular worldwide and available internationally on Amazon, iTunes, Spotify, and Apple Music among others. Apart from her own productions she has performed and recorded with eminent international Indian artistes from India. 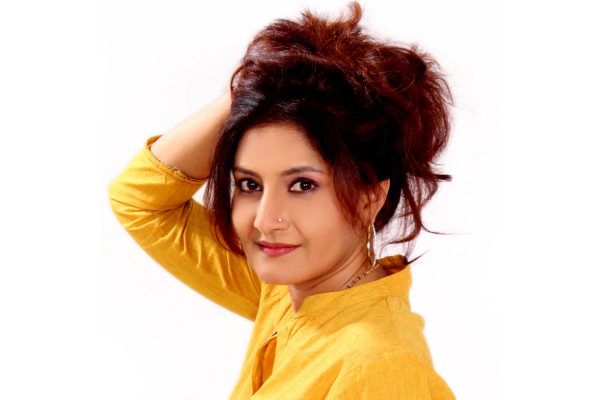 Blessed with the natural ability that involves communicating, teaching, healing and entertaining that suits her personality and interests, Shashika also conducts workshops, music therapy sessions, voice classes and delivers motivational talks all through her unique, and holistic approach. Her single, ‘Manzil Tu Hi’, released in 2014 touched no. 29 on the iTunes South African Top 100 World Music chart and also won the Akademia Award in USA for Best Hindi Pop Song. Her recent album “Krishna” claimed no. 14 spot in the US Billboard Chart in September 2016 for The Flute Player in World Music category. The album also received a silver certificate for outstanding achievement in World Music at Global Music Awards in USA. Her devotional music videos are broadcast in 170 countries via Aastha TV International, a broadcasting company out of India. Truly, Shashika Mooruth’s creativity has no boundaries, she has just completed directing a video for her own single ‘Tamanna’ - a pop song in Hindi and English which will be released internationally soon. Should you need further information, please contact our Customer Services at customerservices@samro.org.za or 086 117 2676.